Binary options are a revolutionary form of trading that can be used by novice traders as a sort of stepping stone, which makes Italy’s move to ban it from their country very disappointing for fledgling traders. The Public Prosecutor of Rome ordered the blocking of numerous binary options broker sites in Italy. The reason for the ban was the country’s financial regulator Consob’s belief that the trade resembled gambling instead of actual trading. However, binary options trading couldn’t be further from gambling. It’s nowhere near similar to a Las Vegas table game, and we wrote an article last year about a court ruling which declared that binary options are legitimate. Binary options trading only requires a small amount of money from investors for them to start trading. To make a profit, investors need to make a correct inference on a certain commodity’s price shift. The example below will show you how binary options work. For this example, let’s use oil as the trading commodity. Investing in binary options are ideal forms of trading for people who are new to the oil trade. This is because, compared to other markets, binary options don’t require investors to have a minimum amount of assets to trade. When trading oil in the futures market, investors are required to own numerous barrels of oil before a contract can be given. A barrel of oil costs approximately $50, which means that in order for an investor to trade on the futures market, he or she needs to pay hundreds of dollars. This is not the case, however, with binary options trading. With as little as $20, an investor can be given a contract to trade. 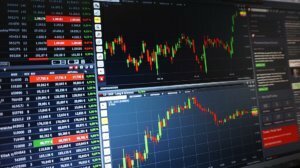 Why are binary Options not a form of gambling? There’s a huge difference between gambling and making an inference. In gambling, a person is relying purely on luck to gain a return. However, in order to make a profit with binary options, an investor needs to have a good knowledge of technical and fundamental analysis. Without these skills, an investor will struggle to gain returns. Undertaking technical analysis for oil trading, investors need to look at charts from time to time. Conversely, they also need to keep themselves in the loop with the latest news and trends in the oil industry so that they can make informed decisions. For the most part, gambling doesn’t require its players to have broad skill sets. If binary options were banned because making an inference to the price shifts is associated with this form of trade, then all types of investments, in theory, could be under threat in Italy as well. After all, investors need to make a prediction across several markets, especially when it comes to Forex trading. Before you can make money in Forex, you need to be familiar with the price shifts that happen on a regular occurrence. So what makes Forex a non-gambling activity? According to an article by FXCM entitled ‘What is Forex?’, it’s leverage is what stands it apart from other forms of investment. If not for leverage, traders wouldn’t be able to see any significant returns on their investments when they trade. Gambling doesn’t have a leverage factor, and therefore it isn’t right to associate Forex, binary options, or any other forms of trading with casino games. The global market can be a rough place. However, being blind to its challenges will never help investors find a solution to their problems. With Italy’s economy still recovering, the country needs all the help it can get from investors and removing binary options trading isn’t helping.